As they say, “if there is Heaven on Earth, it is here”, in Srinagar! Srinagar, also known as the Summer Capital of J&K, is heaven on earth in true sense. Located on both sides of the Jhelum, which passes through the city and winds through the valley, deepening in the Dal Lake. It is famous for boats, lakes, gardens, handicrafts and dry fruits. Apart from the boats, lakes and gardens, Srinagar is also famous for its “Floating Markets”, which is an unusual way of selling vegetables on Shikaras. The Floating Markets open during the wee hours of the morning and closes by about 6 p.m. in the evening. It is said that there is only one other such market which is in Vietnam and the second one is in Srinagar. The market is mainly a wholesale market and all the vegetables that are sold here are freshly picked just a few hours before the market is set up. As the concept is so unique, these markets have become a tourist attraction in their own way. The view of beautifully colored, vegetable laden Shikaras amidst Dal Lake, is altogether a different experience and can be aptly called a Photographer’s Paradise. 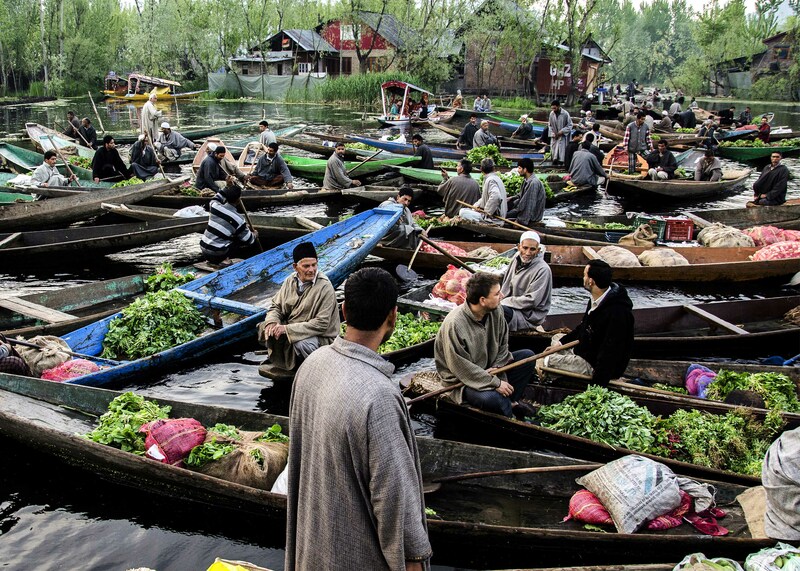 The floating vegetable market serves as a means of earning livelihood for a number of vegetable vendors in Srinagar and produces a turnover of approximately 35 crores annually. Most of the vegetables sold in the market are grown in and around Dal Lake. The vegetable vendors carry out the process of buying and selling vegetables using their own boats, to other houseboats and small villages within Dal Lake. Other than the vegetable floating market, there is another market nearby, known as the flower market. One has to be up early to catch a glimpse of this beautiful market and book shikaras in advance during the previous evening and leave early as the market is almost 45 minutes from Dal Gate. Overlooking the boulevard lane, is approx. 1,250 acres of land dedicated for the cultivation of vegetables, to be bought and sold fresh. The vegetable traders have been trading on this lake in a similar manner for generations and they would continue to do so. 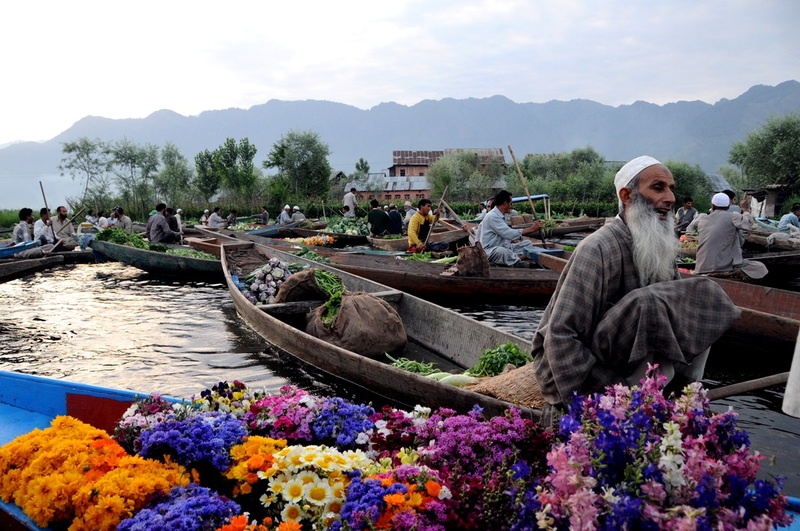 Seize the moment in its true sense and don’t forget to visit the floating markets of Srinagar.